CIMS Hospital, the best hospital in Ahmedabad, in Gujarat is a 350-bedded, multi-super specialty,– and regarded one of the best multi speciality hospitals of Ahmedabad in Gujarat providing a range of diagnostic and treatment services. CIMS Hospital has been awarded best hospital for quality in service delivery award at the ABP News presents Healthcare Leadership Awards 2015 held at Mumbai. CIMS Hospital has been recognized as the Times Health Icon 2018 for being the best Hospital for Oncology and Critical Care. CIMS Hospital also was rated the Best Multispecialty Hospital in Gujarat at the International Healthcare Awards, 2018 held in Delhi. CIMS Hospital provides world-class treatment and healthcare services in India and the leading heart hospital in Ahmedabad, Gujarat. CIMS Hospital offers the highest quality services and offers treatment to most diseases and medical problems with one of the the highest success rates in India. 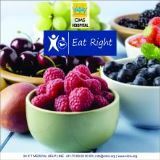 Are you searching for the best hospital that patients trust and which also offers the best patient care in India? Then you are on the right track, as CIMS Hospital is one of the most reputed hospitals of Gujarat being conferred recently with the Trusted Healthcare Distinction Awards 2017, National Quality Excellence Awards, 2017 for Best Multi-Specialty Tertiary Care Hospital. Delivering the highest standards of global healthcare, CIMS Hospital is accredited by JCI – Joint Commission International (USA), NABH (National Accreditation Board for Hospitals & Healthcare Providers) and NABL(National Accreditation Board for Testing and Calibration Laboratories) for providing quality healthcare and patient safety across India. CIMS Hospital has got some amazing lifesaving results with the help of its expert and one of the best teams of experienced clinicians. We offer the best treatment services in Cardiology, Cardiothoracic Surgery, Critical Care, Oncology, Trauma, Neurosurgery, Orthopaedics, Gastrosciences, Nephrology, Urology, Neonatology, etc in Ahmedabad. Patient reviews and testimonials on the internet suggest that we, CIMS Hospital is the best hospital in Ahmedabad and Gujarat. CIMS Hospital is also patient rated the best hospital in India base on its online reviews being the highest across the country. Spread across two spacious and state-of-the-art buildings viz. CIMS EAST AND CIMS WEST, CIMS Hospital offers a combination of the most experienced doctors, latest technology and excellent infrastructure ensuring world -class patient care and treatment. CIMS Hospital has evolved a culture to deliver human and the best possible care with compassionate to its patients. 4Cs – Care, Courtesy, Compassion, and Competency. The motto at CIMS Hospital of Patient First Always is the backbone of firm commitment to deliver the best and safest care to our patients. Gujarat’s First digitized operation theatres and ICUs at CIMS Hospital. Gujarat’s First ECMO facility at CIMS Hospital. Latest Cancer Radiation machines at CIMS Hospital. Latest Radiology- MRI and CT scans at CIMS Hospital. Gujarat’s First certified GREEN Operation Theaters: certifying for safe practices and environment friendly features such as low emission of carbon dioxide, infra-red rays and radiation within permissible limits also at CIMS Hospital. One of the most advanced ultra-modular and fully monitored emergency & trauma facility at CIMS Hospital. CIMS Hospital has recently established Pediatric Bone Marrow Transplant program. CIMS Hospital has set up its own Blood Bank within the premises of the hospital to facilitate smoother services for all patients. CIMS Hospital is accredited by NABH, NABL and JCI. Gujarat’s first heart transplant was successfully completed at CIMS Hospital. CIMS Hospital boasts of six successful heart transplants under it’s name and holds the reputation as one of the best cardiac and heart hospitals in Ahmedabad and India. CIMS Hospital continues to be the preferred heart transplant center in Ahmedabad and Gujarat. If you have not had a look yet, please do visit Google Reviews for CIMS Hospital and do check out the Just Dial Reviews for CIMS Hospital to build your confidence about the hospital being one of the best in the world. CIMS Hospital also boasts of one of the most active social media platforms for any hospital in India, with activity on a daily basis. We have a digital presence that ensures your first impression of CIMS Hospital is a modern and technology driven hospital added with empathy, ethics and the best doctors in India who are ready to serve and treat you with the best possible care. Make CIMS Hospital your first and last medical and health destination and let our expert doctors prove why the patients around the world rate CIMS Hospital as the best hospital in India.